On December 21 Calcasieu Parish Sheriff’s Office deputies responded to a call in reference to a victim who stated he witnessed a man driving his four-wheeler, which was previously stolen from his shop on Prater Road in Sulphur. The victim also advised the suspect had a motor, which was also stolen from his shop, on the four-wheeler. 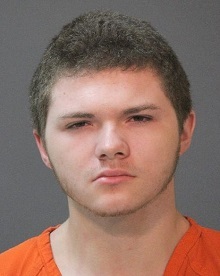 Deputies made contact with the suspect, later identified as Zachariah N. Jessie, 19, 901 Mathilda Drive, Sulphur, at an apartment complex on Lewis Street in Sulphur, at which time he was transported to the CPSO West Cal Law Enforcement Center to speak with detectives. Zachariah advised detectives he had more stolen items at his residence on Mathilda Drive. 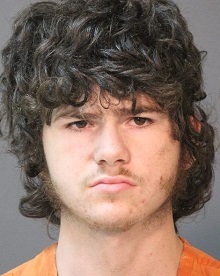 Zachariah was transported by patrol to his residence where they learned his family member, Joshua M. Jessie, 17, 901 Mathilda Drive, Sulphur, was also responsible for the burglary and theft. Once at the residence, detectives located numerous stolen items totaling approximately $10,000 from the burglary that occurred on Prater Road. Deputies also located approximately $5,000 worth of stolen items from a burglary that occurred at a home on E. Burton Street in Sulphur, that had been previously reported; as well as stolen property from a case being investigated by Sulphur Police Department. Joshua arrived at the home, at which time he and Zachariah were arrested and transported back to CPSO West Cal LEC. When detectives spoke with Joshua he confirmed he broke into the house on E. Burton Street, as well as, the shop located on Prater Road on several occasions with Zachariah. Zachariah and Joshua were then transported and booked into the Calcasieu Correctional Center. Zachariah is charged with 5 counts of simple burglary; theft $5,000 to $25,000; illegal possession of stolen property; and simple criminal property damage under $1,000. Joshua is charged with 5 counts of simple burglary; and theft $5,000 to $25,000. Both Zachariah and Joshua’s bond are set at $24,500. CPSO Detective Randall Gibbons is the lead investigator on this case.